The new range will be available for six weeks. Speciality coffee shop Harris + Hoole launched six single farm origin filter coffees for six weeks only. The brand says the filter coffees each come from a single farm in Peru, each with its own flavour that "reflects the individual farm" where it was produced. 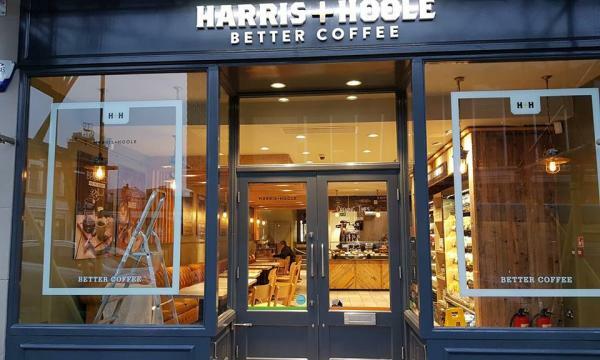 Harris + Hoole is customers try them all with a specially introduced loyalty programme to support the launch, where customers who have their app and buy three drinks from the new filter coffee range will get the third free. “We pride ourselves on our high quality, single origin filter coffee, and this is really unique in the market. Six different micro lot coffees from six individual farms in Peru is exciting and not something you’ll find anywhere else. Each coffee has a distinct flavour and we’ve worked closely with all six farms to bring these coffees to UK customers. This is something for every coffee connoisseur to enjoy, and that’s why we’ve made every third coffee free, so everyone gets to try them all,” Josh Brown, Head of Coffee at Harris + Hoole said. Since opening its first store in 2012 in London, the brand now has 40 stores across London and the South East of England.